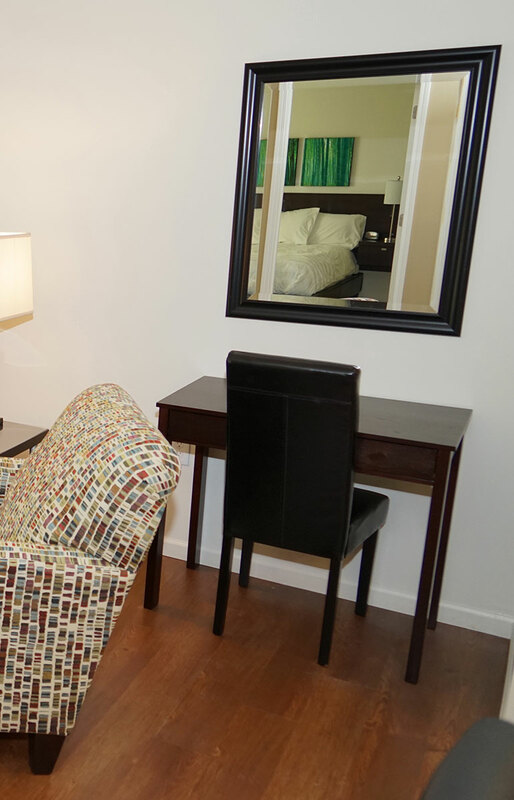 Whether you choose a one or two bedroom extended stay unit, you will enjoy all of the comforts of home. The master bedroom in every unit includes a comfortable king size bed and the second bedroom in the two bedroom units features a full sized bed. All beds are outfitted with beautiful, warm and cozy linens which will be washed and changed every week by our maid service. Relax in your fully furnished bedroom with its 46 inch flat screen television, cable service and remote control. Your closet and bath are completely equipped with towels, hangers, ironing board and hair dryer. Enjoy your down time in your beautifully appointed living area. Stretch out on your large couch, put your feet up on the ottoman, cozy up to your favorite reading nook or turn on your 60 inch flat screen television and enjoy the latest cable service. Get some work done from home at the comfortable desk and read your morning paper sitting comfortably at the kitchen counter. Your home is truly your castle at Prairie Square Extended Stay. 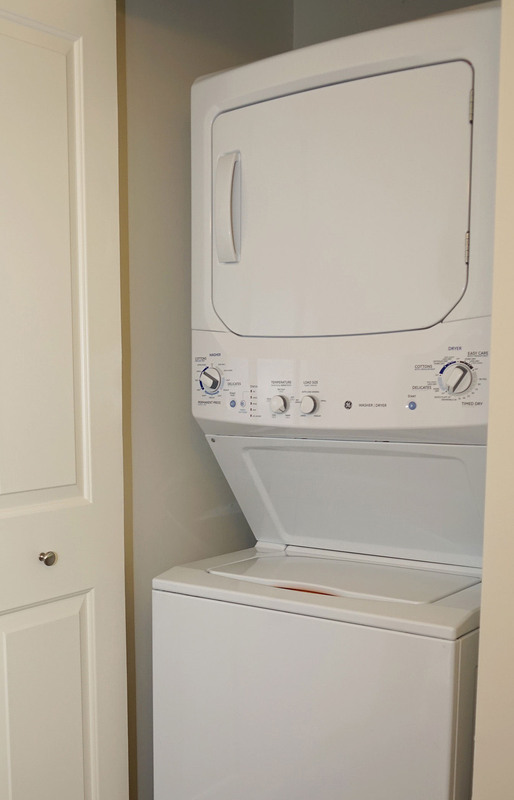 Your unit contains a full size washer, dryer and ironing board to keep your wardrobe in tip top shape from the privacy of your own home. 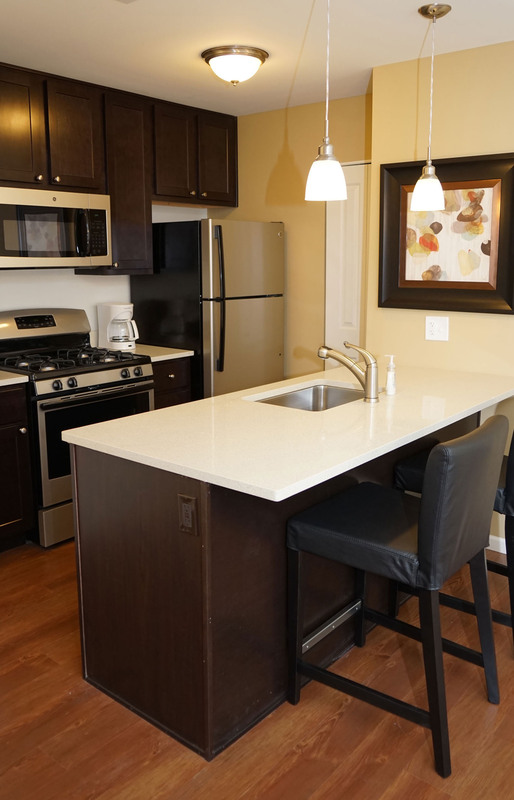 Whether you’re an experienced cook or more of a microwave guru, you’ll enjoy your fully equipped kitchen. We’ve outfitted your kitchen with a stove and oven, microwave, full size refrigerator, dishwasher and garbage disposal. You have dinnerware for four, every day glasses and cocktail glasses, pots, pans, bake ware, serving ware and utensils. In addition, your kitchen has all of the necessary small appliances, such as a coffee maker and toaster. ATG Property Management will clean your unit every week at no extra charge to you. We’ll vacuum and dust your unit and clean the kitchen and bathrooms. We’ll wash and change your bath, bed and kitchen linens and make sure that the light bulbs are working. You will come home to a sparkling, comfortable oasis.